the days till springtime can get long. Help! This is a tough one. 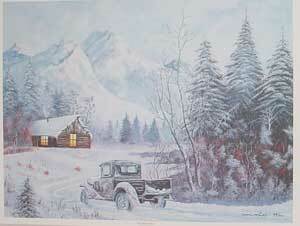 It's been very cold here, and there is LOTS of snow on the ground, and it's all very tiresome at the moment. But I'll try. 2. Light Princess is helping me. She listens to "Dango Daikazoku," a song by a Japanese recording artist she likes. Now we are going to listen to it. Be right back. Oh, that is cute. Maybe you should listen, too. 3. On the Bearnaise Sauce Dog email list homepage, they have been running pictures of dogs in the snow, and yesterday they featured this one of our dogs. Soon after I got an email from a painter in the Netherlands, asking if he could use it as the basis for a painting, to be raffled as part of a fundraiser for a Bearnaise Sauce Dog cause. Um, yes!!!! Woohoo!!! Molly and Sam in a painting!!!! The painter does a print for the people whose dogs he features, and I imagine we will buy more than the usual share of raffle tickets, when that day comes. 4. I use my pink cellphone and get the weather report from a friend in a faraway warm climate. I also ask for cat reports. 5. 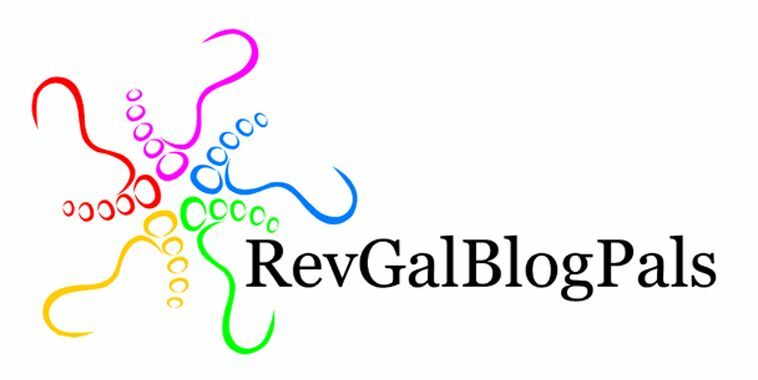 Finally, I do my best to think of spring, and the place I will go to get warm the week after Easter, the RevGalBlogPals Big Event 2.0 at the Franciscan Renewal Center in Scottsdale, Arizona. Hope you're keeping your spirits up, however you do it. Very cool! I’m listening to the song now! Sam and Molly…a class act. Mid-Life Rookie and I have now booked our flights to Arizona! I’m playing the Dango song and both of my cats immediately came over to my lap to check it out! Is there some magic cat message in there?? How cool about your dogs. Just having a kid is good for winter. I’m further (farther?) north than I’ve ever lived now, and we’re outside so much more, b/c kids don’t want to stay inside so much. I’m sure she’ll get cabin fever, but not before dragging me out for skating/sledding/walking whatever. But I need to work on adult remedies for the greyness here. I got a swift and ball winder for christmas if you need help winding… I love that pattern and may make it next. What a beautiful picture of Molly and Sam!!! And I’m looking forward to BE 2.0 SO much. I booked my tickets today – so exciting!! !